From among thousands of spirits across the globe, Tanduay Double Rum was adjudged as one of the best by the Wine & Spirits Wholesalers of America and the 2019 San Francisco World Spirits Competition (SFWSC). Tanduay Double Rum received the gold medal from the Wine & Spirits Wholesalers of America and the silver medal in the SFWSC. Almost 3,000 spirits joined the latter’s competition this year, the largest in its 19-year history. “We are honored to receive these awards. They are testaments to our commitment to making world-class products and highlighting the craftsmanship of the Filipino,” said Lucio “Bong” Tan, president and chief operating officer of Tanduay Distillers, Inc.
Tanduay has a full range of rums that are categorized according to their type (dark, gold, white), proof (alcohol strength), age, and character. Tanduay Double Rum is a blend of 2 aged reserves—16-year-old rum and 5-year-old rum that are aged in the barrel for another 2 years. It is produced in small batches with a minimum run of only 5,000 bottles per production. It is a “sipping rum” that belongs to the cognac level of spirits. “Tanduay Double Rum embodies the value of paying tribute to all the men and women behind Tanduay’s success—one that is distinctly Filipino. It is Filipino rum at its finest, one that is meticulously crafted and will surely satisfy the discerning taste of rum connoisseurs around the world,” Tan said. Tanduay Asian Rum Gold and Tanduay Boracay Cappuccino Flavored Rum, meanwhile, were awarded silver medals. The SFWSC likewise honored Tanduay Asian Rum Gold, Tanduay Asian Rum Silver, Tanduay Boracay Cappuccino Flavored Rum, and Tanduay White Rum with silver medals. Both Tanduay Dark Rhum and Tanduay Boracay Coconut Flavored Rum received bronze medals. Tanduay has a rich tradition of rum-making. As it marks its 165th year in the Philippines, it celebrates its tradition of quality and likewise works towards environmental sustainability to continue making products that Filipinos can be truly proud of. Great deals up to 90% off at the Shopee Super Fashion and Beauty Sale on April 26. In time for the Shopee Super Fashion and Beauty Sale on April 26, Shopee, the leading e-commerce platform in Southeast Asia and Taiwan, launches a 3-part mini web series called Shopee Makeover Madness on Facebook from April 24 to 26. 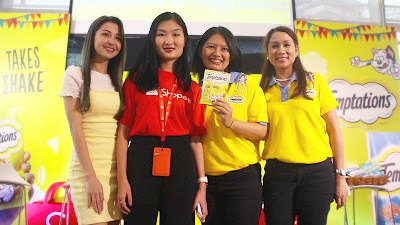 Shopee Makeover Madness is an exciting social media contest where three lucky participants, Lilibeth Hernandez, Adrian Olivarez, and Aprille Gelera, nominated by their friends and family will get an all-expenses-paid makeover from popular celebrity fashion stylist, Myrrh Lao To and Beauty Vlogger Raiza Contawi. One of the winners, Aprille Gelera, is a single mother who lost her husband in an accident only a year after their marriage. She now has a beautiful three-year-old boy and she also takes care of her mother. Users can find out more about Aprille and the other winner’s stories by catching the series on Shopee’s Facebook page from April 24 to 26. Happening on April 26, the Shopee Super Fashion and Beauty Sale will feature 24 hours of storewide sales, flash deals, and free shipping with a lower minimum spend of ₱199. Users can expect countless fashion and health and beauty shops selling make-up, fragrances, personal care products, women’s apparel, and accessories with discounts up to 90% off. For more information about the Shopee Makeover Madness, click here. Don’t forget to check out the Shopee Super Fashion and Beauty Sale on April 26 at https://shopee.ph/m/super-fashion-beauty-sale. Visit the Shopee website at https://shopee.com or download the Shopee app for free via the App Store or Google Play. 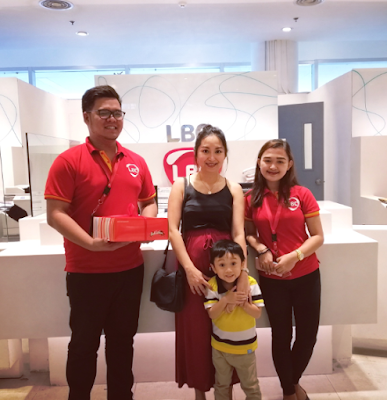 Every Saturday, Al Kim Joshua Baptisma and his mom Lerma have an early lunch so they can take a three-hour trip to a Fun Clinic in Quezon City. The weekly clinics are in preparation for the PWD Fun Run organized by the Kaakibat na mga may Autismo sa Pilipinas (KASPI)-Mpc, a support group for parents of persons with autism and other neuro-developmental disabilities. It’s a long commute from their residence in Las Pinas to the UP Oval in Diliman where the clinics are usually held, but there is nothing that will hold back Al Kim from going to a place where he can feel good about himself. Being on the autism spectrum, 22-year old Al Kim does not have many options for social interaction and community involvement. His parents encouraged him to go into sports as a way of releasing physical energy and being with peers. Al Kim had his first taste of organized running when he joined a 5km run at the SM Mall of Asia. “Running is a perfect sport for people like Al Kim”, says his mother Lerma. “There are no difficult techniques or rules required, no expensive gear, and can be done by just about anyone who shows up”. Al Kim has come to love running — although it is not just the sport itself that enthuses him, but its being able to connect with others who accept him and do not mind that he sometimes asks the same questions over again. 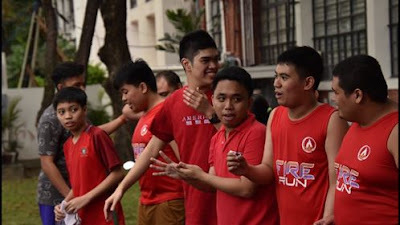 He enjoys talking to everyone – with his co-participants and, even more so, with the helpful student volunteers from UP Kinetics and the UP Special Education Council (UPSEC). He has taken on the role of welcoming and easing in newcomers into the group, and immediately asks about those who do not show up. Once he engages in a conversation, he will most likely remember most of the details. 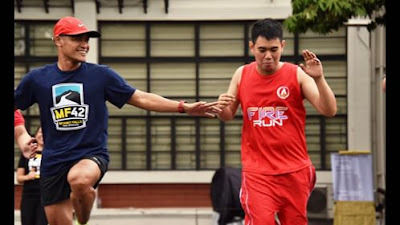 Al Kim is one of the developmentally-challenged individuals who will put in their best efforts during the PWD Fun Run to show that, with support and encouragement, they can succeed in sports and other productive endeavors. The PWD Fun Run: PWeDe Pala, Hetdo Kami, Join Kayo will be held on May 26, starting at 5:30 a.m. at the UP Academic Oval, Diliman. Participants can join the full 11K run, or catch up at 5:45 a.m. and 6 a.m. for the 6.6K and 2.2K runs, respectively. Registration sites are at the Garmin sites at the SM Mall of Asia, SM North Edsa, and SM Megamall. Details are available at the PWD Fun Run page on Facebook. Proceeds for the Fun Run will move KASPI toward its goal of putting up an activity center for individuals with neuro-developmental disabilities and helping them transition to a more independent and productive future. Kuala Lumpur, 26 March 2019) The world’s largest and fastest growing international health & beauty retailer A.S. Watson Group celebrates an important milestone as it opens its 15,000th store. Dominic Lai, Group Managing Director of A.S. Watson Group (middle) is joined by two Watsons Malaysia Elite members (3rd from left and 1st from right) , together with Malina Ngai, Group Chief Operating Officer of A.S. Watson Group (4th from right), Alan Heaton, Group Finance Director of A.S. Watson Group (3rd from right), Ann Lau, Group People Director (Asia) of A.S. Watson Group (2nd from right), Rod Routley, Regional Managing Director (Asia) of A.S. Watson Group (4th from left), Caryn Loh, Managing Director of Watsons Malaysia (2nd from left) and Nur Rashmeen, Store Manager of Central i-City store (1st from left) at the opening ceremony of the A.S. Watson Group 15,000th Store Opening Event. For the fourth year in a row, A.S. Watson’s new store opening continues to be at an average speed of one store every seven hours across its 25 markets in Asia and Europe. 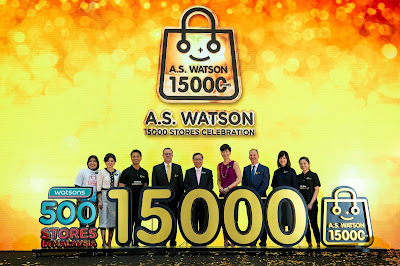 The worldwide 15,000th store opening of A.S. Watson coincides with its 500th store opening of Watsons in Malaysia, one of the fastest growing countries for beauty and wellness products. Watsons is the flagship retail brand of A.S. Watson with over 7,200 stores in 13 markets in Asia and Eastern Europe. In the Philippines, Watsons has already 752 stores. In the province of Bulacan there are twenty (20) stores including stores inside SM City San Jose del Monte, SM City Marilao, SM City Baliwag, and SM Center Pulilan. SM CITY SAN JOSE DEL MONTE’S HOTTEST SALE THIS SUMMER! 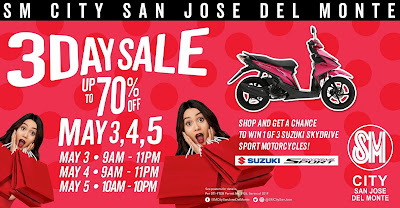 SAN JOSE DEL MONTE CITY – Summer will surely get hotter as SM City San Jose del Monte bring the most anticipated 3 Day Sale on May 3, 4 and 5 with up to 70% off on great finds! Get ready shoppers! Don’t miss the awesome deals, as the great discount apply to countless items mall-wide. Catch the most fashionable swim wears and summer outfits at The SM Store and Surplus. SM Appliance Center, Ace Hardware, and SM Supermarket also offers appliances that helps you beat the summer heat. Don’t forget about skin scare, hair care and medicines, Watsons has it all for you. And when going on an outing, SM Supermarket has a lot of deals to offer. Japan’s fastest fashion designer brand, Miniso, also offers goods for summer such as sun block lotions and mini fans. Mall entrances will open at 9:00AM to 11:00PM on May 3&4, and 10:00AM to 10:00PM on May 5. Shopping could even give you the chance to win one of three Suzuki Skydrive Sport Motorcycle. Shoppers can enjoy BDO Rebates up to 10% on credit cards and 3% on debit cards. May 3 is Prestige Friday! All prestige card holders can shop all day from mall opening until it closes with additional 10% discount. SM Advantage Card holders can also get the same discount on SMAC Saturday, from 9AM until 12NN, and on Sunday Special from 5-7PM. Watch out for movie line up at SM Cinema to wrap up your shopping experience. Avenger’s End Game is still showing and it is a must watch movie this season. Mark your calendars and set your alarms to enjoy great discounts! Again, don’t miss the amazing bargains only at SM City San Jose del Monte on May 3, 4 and 5. It is SM 3 Day Sale after all! For more mall events and updates don’t forget to like and check SM City San Jose del Monte’s official Facebook Page at https://www.facebook.com/SMCitySanJoseDelMonte/. Jollibee’s best twirl ever introduces Filipino flavors! As temperatures rise with the arrival of summer, Pinoys fight the heat off with one of their favorite dessert treats: ice cream. Eaten after meals, in between meals, or as a snack, ice cream has undeniably become a summer staple for millions of Filipinos all over the country. This summer, ice-cream fans will have something delicious to look forward to: Jollibee’s new Ube Dip Cone Twirl and the signature Halo-Halo Sundae Twirl! With the new and improved Jolly Twirl vanilla soft-serve as base, these new desserts will definitely thrill taste buds with its thicker and creamier soft-serve topped with delightful Filipino flavors. 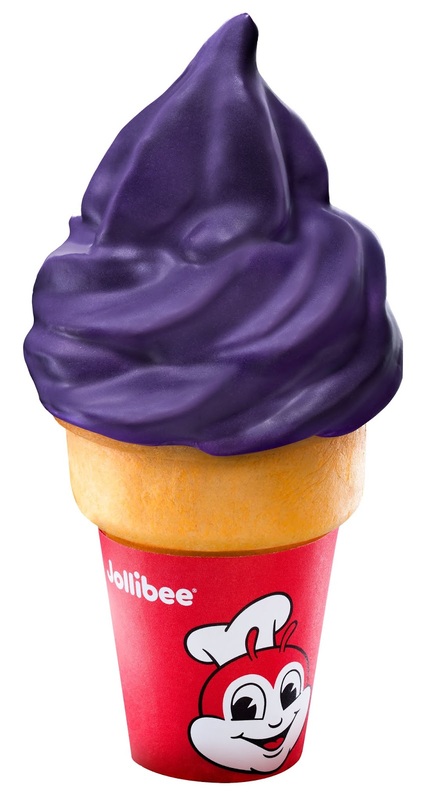 The Ube Dip Cone Twirl begins with a perfectly twirled vanilla soft-serve and then dipped into a luscious, indulgent ube coating for a unique combination of creaminess with that gentle, nuanced sweetness and nuttiness. 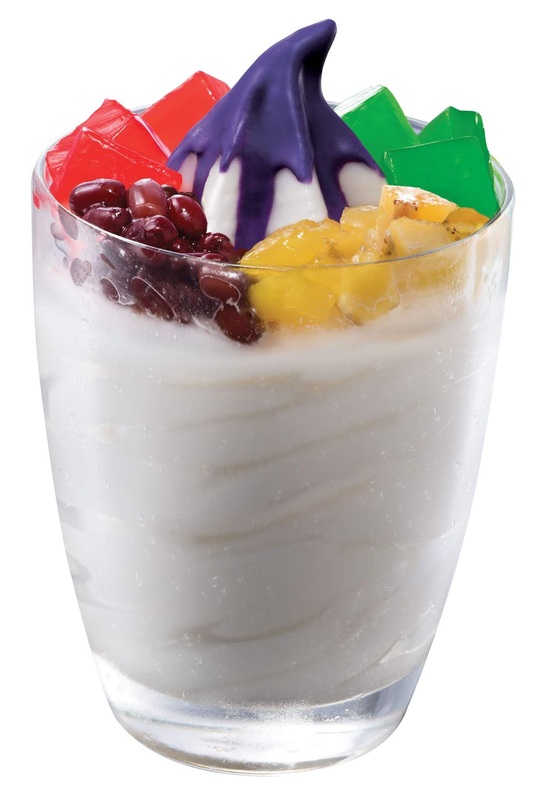 A jolly twist to the classic Pinoy summer treat, the Halo-Halo Sundae Twirl offers a drizzle of ube coating and toppings like red and green nata, sweetened monggo, and banana langka on top of thick and creamy vanilla ice cream. Start your summer-sarap experience at Jollibee with our Jolly Twirl with Filipino flavors! 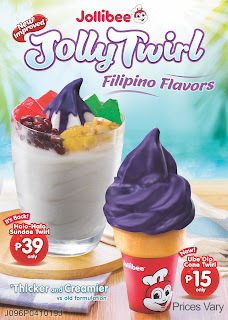 The Ube Dip Cone Twirl (P15*) and Halo-Halo Sundae Twirl (P39*) are available in all Jollibee stores nationwide starting April 15, 2019. For more information on Jollibee’s products and promotions, like Jollibee Philippines on Facebook, subscribe to Jollibee Studios on YouTube, and follow @Jollibee on Twitter and Instagram. There is no better way to escape the hot summer days than by quenching your thirst with an ice-cold drink while watching the coolest movies and videos in the comfort of your living room. Now, Samsung gives you an even bigger reason to stay indoors as it bundles its Ultra High Definition (UHD) TVs and Soundbars at some of the most affordable prices, to turn your living room into a virtual cinema for a more exciting home TV viewing experience. 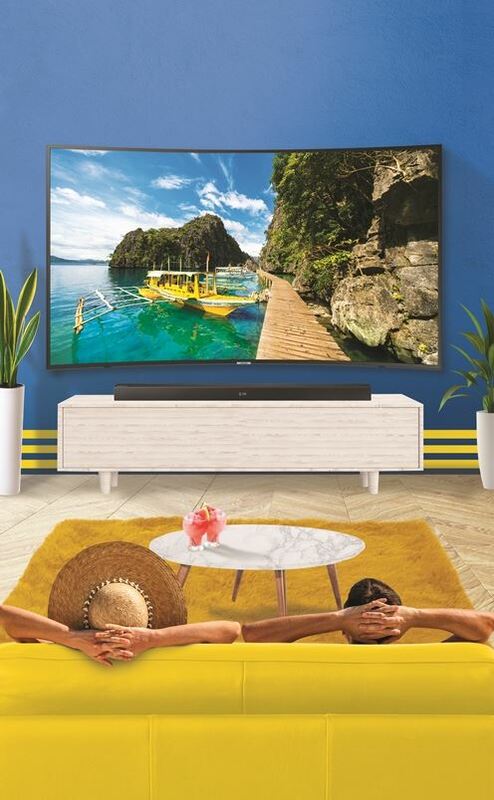 With the Samsung TV bundle promo, the Samsung 65-inch Curved UHD TV now comes with the Samsung HW-K350 Soundbar for only P62,999, giving you an incredible 40% discount. Samsung UHD TVs offer sharper and more detailed images with 4 times more pixels than a Full HD TV. They also provide access to different online content sites like YouTube, Netflix, and iFlix to enable you to enjoy your favorite TV shows and movies from different sources. Samsung Soundbars improve your family’s TV viewing into a cinema-like experience with two built-in speakers and a 6.5-inch subwoofer that wirelessly connects to the TV to produce clearer and more impactful cinematic sound. The Samsung TV bundle promo also features the Samsung 65-inch UHD TV and Samsung HW-K350 Soundbar for only P59,999 while the Samsung 49-inch UHD TV with the Samsung HW-N300 Soundbar is available for only P34,999. Head to any authorized Samsung dealer today and avail yourself of the Samsung UHD TV + Soundbar bundle. Promo runs from March 11 to April 30, 2019 only. Per DTI-NCR permit no. 3475 series of 2019. Visit https://www.samsung.com/ph/offer/hottestsummerpairs/for more details. 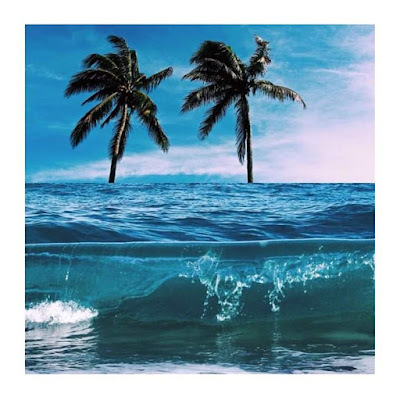 Summertime has just begun, and most students are looking for activities to make their vacation worthwhile. Nimo TV, one of the country’s leading video game streaming platform, is an excellent past time for students who love gaming and learn new skills at the same time. It offers 8 – 12 MP quality live streaming and can be accessed via mobile or PC make it easier for everyone to start live streaming as a hobby and eventually make it a career. Nimo TV’s unique ecosystem, which consists of streamers, viewers, brand sponsors and celebrity players can help newcomers discover different techniques in starting their channel. It has a chat feature where streamers and viewers can communicate with one another and exchange tips on how to win a game they play. Games like Player Unknown’s Battlegrounds (PUBG), Mobile Legends, Dota 2, Rules of Survival and Counter-Strike: Global Offensive are some of the exciting content that streamers can play via the app. Nimo TV’s presence in Southeast Asian countries like Malaysia, Indonesia and Thailand will also help you increase your fan base making it easier for every newbie to grow their channel and interact more with other gamers. Download the Nimo TV app at Apple app store and Google Play store by clicking the link here https://nimotv.onelink.me/B6cW/25ba46b7 and start streaming your way to the top. Shopee, the leading e-commerce platform in Southeast Asia and Taiwan, and Mars Petcare, a global name known for quality pet care products such as Pedigree and Whiskas, have launched Temptations™ in the Philippines. Filipinos can now purchase the new cat treat brand exclusively on Shopee. To celebrate the launch of Temptations™ in the Philippines, Mars Petcare and Shopee held a special forum featuring experts in cat care to share some essential tips on how best to look after their feline pets, especially with regard to pet nutrition and creating bonding moments.